Apple have a tendency to need a few model versions in order to clean up all the small issues with their products – but once they do reach that “sweet spot,” they inevitably set a new trend. While some may argue that the iPhone is already there, others can still point out a few quirks with the device’s overall design which need polishing. 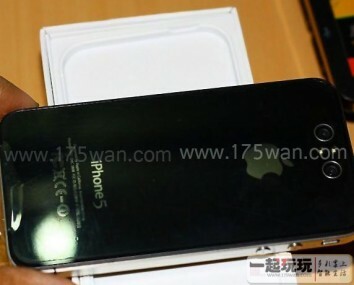 It seems that with the newest addition to the iPhone lineup – the upcoming iPhone 5 – Apple are really going to hit everything right. Reports indicate that even though the hardware powering the device hasn’t been upgraded much, the changes are there to address the long-standing issues that users have been complaining about. The processor has been buffed slightly, and according to first-hand accounts, there are no longer any antenna issues – a blessing for those who’ve had to endure the last version constantly dropping its calls. 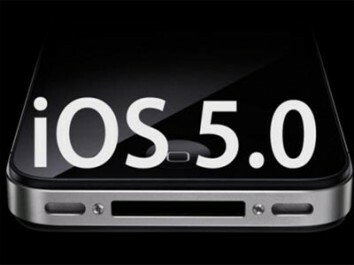 The software is where the iPhone 5 is really going to shine though – it’s going to be the ultimate device for portable browsing, with a revamped interface to better accommodate multitasking, as well as various small additions to make the whole experience smoother. And even if you’re worried about having to pay too much at the end of the month when your bill arrives, there are still plenty of prepaid iPhone 5 plans out there to pick from, so this shouldn’t be much of an issue. Arm yourself and prepare for what’s easily shaping up to be the release of the decade – Apple sure know how to please the crowds! 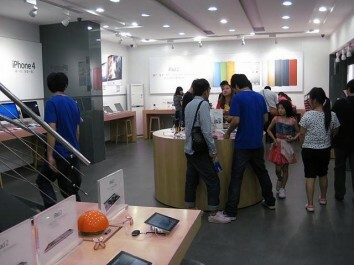 Apple’s iPhone 4 is one of the most sought after mobile phones in the world, if not the most. It’s an amazing piece of technology that redefined the whole concept of a smartphone. There are so many things you can do with an iPhone 4 that some fans of the product even say that you won’t need any other phone. Of course, all the technology and the demand for the iPhone 4 also means that you have to pay a premium to get one. An iPhone 4 is expensive and buying one is not just a simple consumer purchase, it is an investment — that’s why protecting your iPhone 4 should be a top priority if you own one. A lot of iPhone 4 users don’t bother to put in a passcode – the four-digit code that locks the phone’s screen. 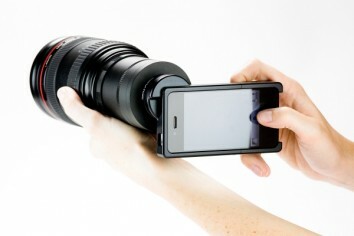 They see it as a bother and an extra step before they use their phone. But don’t mind that extra step, the passcode protects your iPhone 4 in case it is lost. There’s an option that will wipe the iPhone if the wrong passcode is entered ten times. In the event your phone gets lost you’re sure that your private data will not fall into the wrong hands. This step is not really about protecting your iPhone 4 as much as protecting the data inside it, which is equally important. Do periodic backups of your data so that you have the latest data with you in case your iPhone 4 gets damaged or lost. Your iPhone 4 is a wonderful tech device but it is not yet designed to totally withstand physical abuse. Protect your iPhone 4 from scratches and minimize the negative effects of bumps and accidental drops by putting it in a protective case. There are many cases that you can choose from, from svelte, barely there cases; colorful cases, and virtual tanks that protect your iPhone completely. 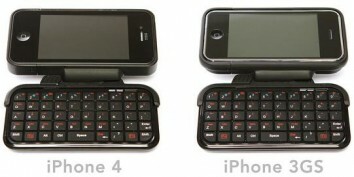 If you’re more concerned about protecting your iPhone 4 rather than aesthetics, get a bulky case that offer strong protection. The bulky case also offers an additional benefit – its added heft will make you notice more if it slides out of your pocket. As mentioned above, an iPhone 4 is an investment. Just like any other investment, you can offer additional protection for your iPhone 4 by enrolling for an iPhone 4 insurance. This is probably one of the best ways of protecting yourself from theft. iPhone 4’s attract thieves because of its value. With an insurance you can rest assured that if this happens you can file a claim and get compensation and buy yourself a new iPhone 4. Fancy yourself a DJ? You don’t have to be a world renowned DJ to be able to play with music and create your own mixes. Even better, with all the gadgets that you can get your hands on these days, you can play at being a DJ whenever you want to. Before you know it, you might even become famous. If you already have an iPad, an iPhone, or an iPod Touch, here is a nifty little gadget that you would love to get your hands on – the iDJ Live from Numark. The iDJ Live is an iOS DJ controller that will delight people in all the DJ-ing stages. I mean the DJ wannabe who does not know a thing about DJ-ing, the newbie DJ, the amateur DJ who plays music at his friends’ parties, and even the pro DJ. How does the Numark iDJ Live work? You simply hook it up to you Apple device, and then spin however, whatever you want! One really important thing, though, is the software. 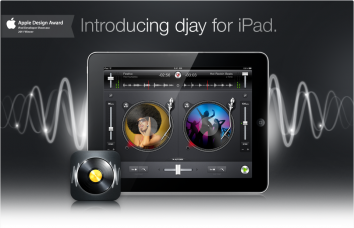 The iDJ Live was designed to work with existing software from Algoriddim, Djay for iPad. 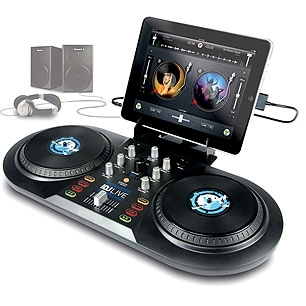 The app is a little pricey at $19.99 (if you compare it to the $0.99/$5.00 apps), but this software is one mean DJ-ing tool. 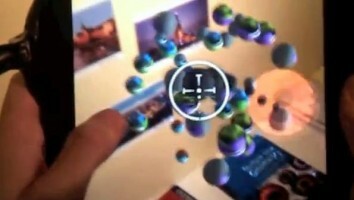 Not only has the app satisfied users because of its function, but it has also received the Apple Design Award. For sure, the $100 that you will have to shell out for the iDJ Live will be paid back in full – even double – once you enjoy spinning for your friends. Find out more about the iDJ Live from the official web site.